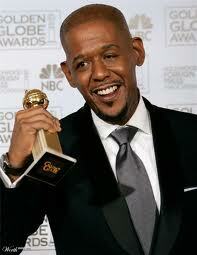 Forest Whitaker To Direct ‘The Shack’!!! 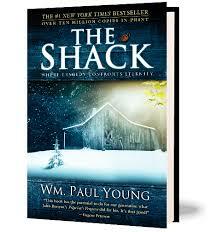 Forest Whitaker is hoping to bring the bestselling novel ‘The Shack’ by William Paul Young to film adaptation soon. Summit Entertainment acquired the rights to the novel in April 2013. Summit Entertainment is responsible for great movies like ‘The Crow‘, ‘Gone‘, ‘Fear and Loathing in Las Vegas‘, but they also gave us ‘The Twilight‘ saga. So make of that what you will. Whitaker would play a supporting role in the film that is being written by John Fusco. Fusco is responsible for my outlaw phase when I was growing up with his writing the script for ‘Young Guns‘ and ‘Young Guns II‘, ‘Thunderheart‘ and a musical favorite, ‘Crossroads‘ featuring Ralph Macchio. The novel tells the story of A grieving man in the aftermath of a devastating personal tragedy that receives a mysterious, personal note in his mailbox, an invitation, to meet with God at a place called ‘The Shack‘.He responds and finds himself in the presence of God, and a life-transforming journey of truth, forgiveness and ultimately acceptance unfold. Whitaker, most recently starred in Lee Daniels‘ ‘The Butler‘ and flexed his directing muscle on films ‘First Daughter’, ‘Hope Floats’, and the lauded ‘Waiting To Exhale’ that was a book adaptation from Terry McMillan’s source material. In addition to making this film, he is also looking to join Liam Neeson in ‘Taken 3’. Let me take a minute here to say what a bad decision I think making a ‘Taken 3’ even is. I love Liam Neeson! Adore him, even. But ‘Taken 2’ was something that never should have been made, so it stands to reason that a third installment will be even worse. ‘Genius’ Comes To Home Video In September!!! This entry was posted on Sunday, February 2nd, 2014 at 10:33 am	and is filed under Books, Film, News. You can follow any responses to this entry through the RSS 2.0 feed. You can skip to the end and leave a response. Pinging is currently not allowed. « ‘The Purge: Anarchy’ Is On Its Way! !